The current proposal, announced by British Foreign Secretary (and noted Eurosceptic) William Hague on Monday, would see Britain use Canadian diplomatic facilities in locations where there is currently no British mission, and vice versa. 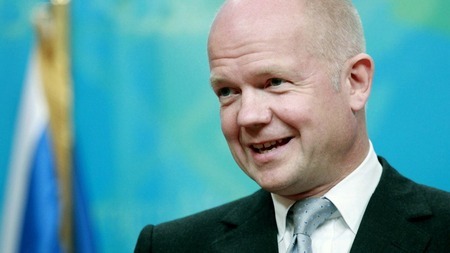 Hague hinted yesterday that this could lead to closer cooperation between the two countries moving forward. Canada and Australia already have a similar agreement, known as the Canada-Australia Consular Services Sharing Agreement, under which citizens of one country can receive consular assistance from the diplomatic missions of the other country. All of this raises the question: What exactly do embassies and foreign missions do, anyway? The Council of American Ambassadors has an interesting list, written by Philip Lader, the US Ambassador to the Court of St. James (Great Britain). Generally, these services fall into three categories. First, diplomatic missions provide assistance to home country nationals. An American living in Belgium, for example, might visit the US Embassy to register the birth of a child, obtain a social security number, or renew a passport. The diplomatic corps also provides limited assistance to Americans detained for committing a crime while abroad. In crisis situations, the diplomatic mission may also be called upon to evacuate personnel from the country during an emergency. Second, diplomatic missions provide assistance and information to foreign nationals about the home country. Again, the American mission in Belgium might provide information about immigration to the United States, process requests for visas. Its staff might also perform public outreach (sometimes referred to as public diplomacy) by, for example, meeting with local schoolchildren or hosting events on American holidays. Finally, but perhaps most importantly, diplomatic mission are expected to represent the interests of the home country in dealings with the host country. The US diplomatic mission in Belgium, for example, would engage in negotiations with the Belgian government across a wide range of issues, including trade, security, or other issues. 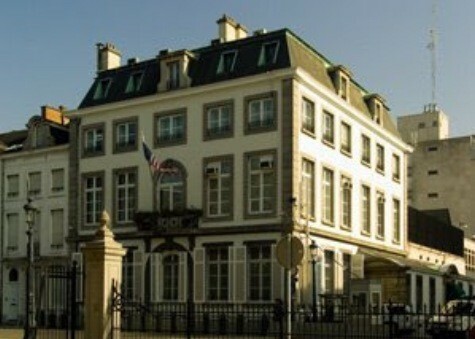 US diplomatic staff would meet with personnel from the Belgian government to press US interests, and to hear Belgian concerns about US policy. In extreme situations, the US ambassador could be recalled by the US government (or expelled by the host government) to demonstrate dissatisfaction with a policy or decision. What do you think: Does the proposed linking of British and Canadian diplomatic missions in selected locations sound like a good idea? How do you think it might affect British and Canadian foreign policy, if at all? Should other countries, like Australia and New Zealand, join the initiative? What dangers, if any, do you see in such a proposal? Let us know what you think. This entry was posted in Uncategorized and tagged Australia, Canada, Commonwealth, diplomatic mission, embassy, foreign relations, New Zealand, United Kingdom. Bookmark the permalink.